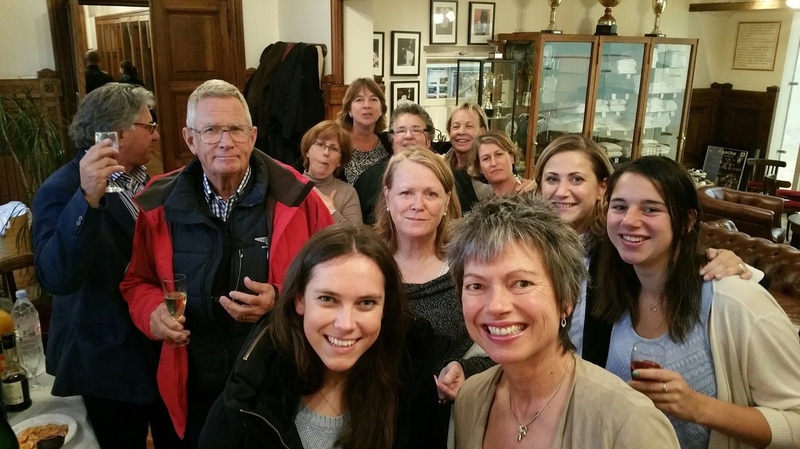 ​A record breaking seven members of Bordeaux, Labastide Clairence, Biarritz and Paris joined the usual English squad plus Lucie and Saskia Bollerman from the Netherlands for a truly international French Open this year, marred only by the absence of Claire Fahey and Sarah Vigrass, the holders of the titles in 2014, whose professional commitments clashed with the dates imposed on us by the French Comité (but we were so relieved to get a venue and date at all that we did not argue…). 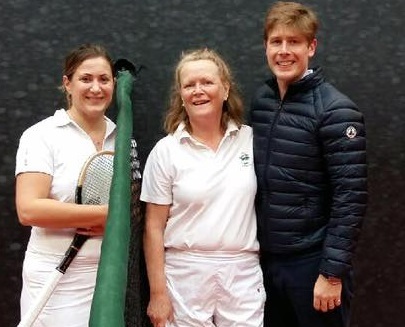 The tournament kicked off with practice in Siberian temperatures on Thursday night and the club was warmed up only on Friday when charitable club members came in and re-fitted the doors protecting us from the Arctic gales blowing off the court. First round matches on Friday morning, which involved the eight seeds, went as quickly as predicted (as one who was on court for a mere 30 minutes, I can testify that I certainly enjoyed my awesome demonstration of how it should be done from Penny) and the Friday afternoon saw more serious head to heads in the quarter finals, with Jess Garside, Cécile Alchuteguy, Isabel Candy and Saskia Bollerman giving feisty performances against the top seeds. 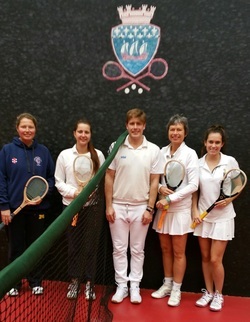 The plate matches were slipped in on Saturday morning, before the two semi finals between Penny and Tara Lumley and Freddy Adam and Irina Dulbish. Penny gained her revenge by beating her daughter in two straight sets. The match between Freddy and Irina was a cliff-hanger, with Freddy missing several opportunities to win the first set and then fighting doggedly in the second despite having lacked training in recent months. Irina pulled through in the end and would face Penny in the final on Sunday. 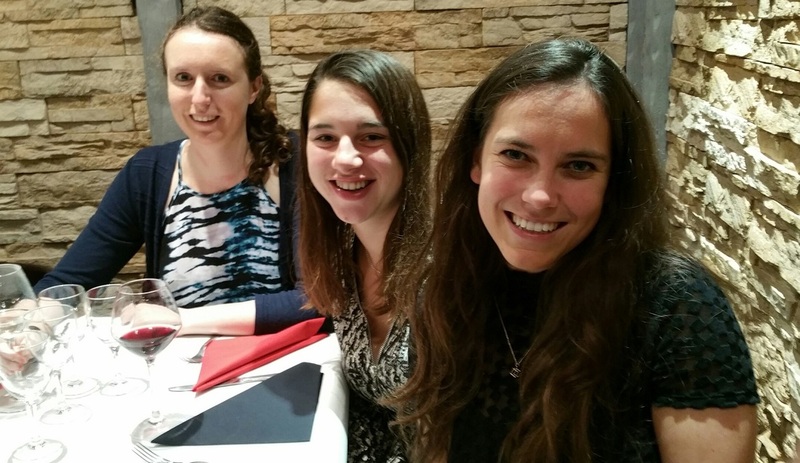 The preliminary rounds of the doubles took place on the Saturday afternoon which ultimately resulted in the first and second seeded pairings getting through to the final, i.e. the Lumleys v Freddy and Irina. Sunday dawned with plate semis and finals, the semi-final between Saskia and Cécile being a tightly fought battle of big hitters. 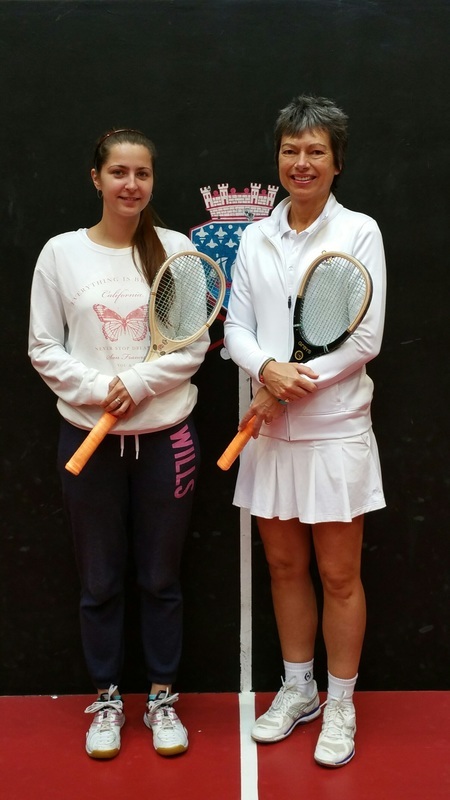 Both girls had progressed during the tournament, not least Cécile who trains on "trinquet" courts in the Basque country and who had to adjust to the different Paris "carreau". 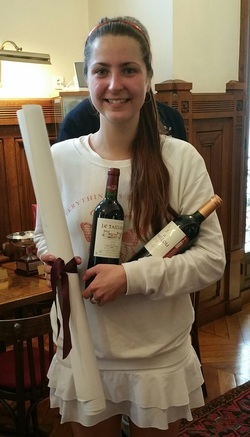 This she did admirably and, despite Saskia's skill and determination, Cécile proved the steelier competitor. She then roared away to win the plate final easily. The serious business began at 10.30, with a highly focused Irina playing brilliantly against Penny who was finding it difficult to get into her stride. The first set went to Irina 6/2 after breathtaking play from both players that had the dedans in awe. In the second, things evened out and after three match points for Irina, brilliantly saved by Penny (not least the one you know: that one where her trademark cross court backhand lands 15cm from the wall under the grille), Penny took the set 6/5. In the third set, game followed game and shot for shot until 4 all, when Irina showed just a hint of lassitude and Penny doggedly continued to drive her perfectly grooved shots to the corners, edging ahead to take the set and match 2/6, 6/5, 6/4. A break was ordered for the slightly wobbly competitors, after which the fresher partners were wheeled in to assist them in the doubles final. Irina took her revenge here and she and Freddy, playing brilliantly but consistently, overcame the Lumley pair 6/5 6/2. Our thanks go to Tim Batten, the Chairman of the French Comité, who found us a slot in Paris when the Fontainebleau court pulled out and also helped with the prizes and prize giving, and especially to Bernadette Bidouze who not only generously sponsored the tournament but also ensured that everyone had a good time at the social events.